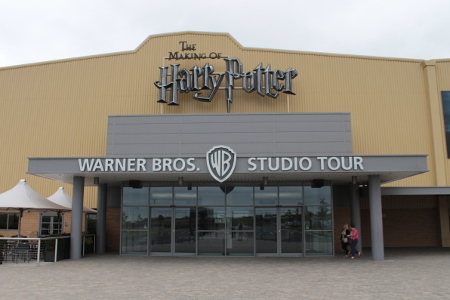 The Harry Potter films were all made in the UK, most of which was filmed in the Warner Bros studios just outside of London. After they completed the last film they've now converted two of the studios into a tourist attraction. Advance booking is mandatory for all visitors to the studios with a timed slot. It says you need to arrive 20 mins prior to the time on the booking, although I don't expect there will be any issues if arriving at the time on the ticket instead. For peak times (eg weekends) you may need to book several weeks in advance in order to get your preferred time slot. The tickets are expensive costing £85 for a family of four, but as we are fans of the Harry Potter books and films it was somewhere we wanted to visit. We visited the Harry Potter film sets on a Sunday lunchtime, we arrived a little early and ate a packed lunch in the car before we went inside. There is a cafe inside, but as everything else was so expensive we had brought the packed lunch with us. There is a bit of queue to get into the first part of the studio tour after which you are free to explore at your own pace. The tour mainly consists of sets complete with props as a hot set ready for filming. Many of the sets include the original costumes. There are many of the sets that you'd expect and some that I didn't. The one set that I had thought would have been filmed on location is the great hall, whereas it was a purpose built set like the others. 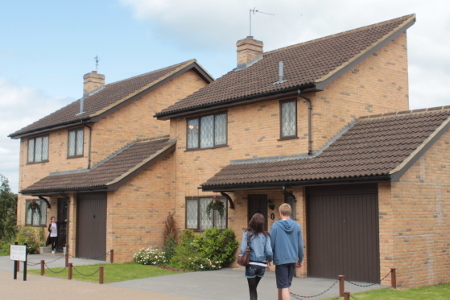 Another was 4 Privet Drive, although the first film was filmed on location they built two houses at the Harry Potter studios to make it easier to film the subsequent films. There is an interactive green screen area where you can have a go at flying the Ford Anglia in front of the Hogwarts Express and a broomstick over Hogwarts castle. You can then purchase souvenir photos or DVDs. These were very expensive, we bought a couple of photos, but couldn't justify the costs of the DVD videos or the packages. This is a shame as we would have bought more if it had been more reasonably priced. As someone with an interest in technology and electronics, one of the areas I was particular interested in seeing was the special effects. This did not disappoint as there were some working animatronics as well as some displays of the technology inside. This is introduced by Warwick Davies, with the video of Davis showing him handling a remote control in time with some physical animatronic characters. One of the main attractions is the Diagon Alley set which is very impressive. It includes the fronts of many of the stores and like the rest of the sets has a had significant attention spent on some of the minor details that are not so obvious in the film. 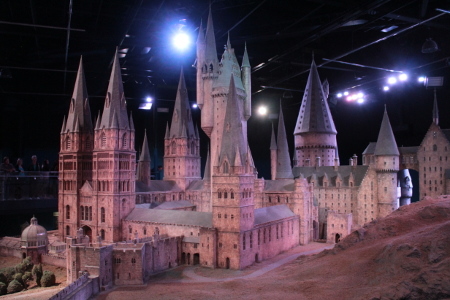 Arguably the most impressive part of the studio tour is the model section and in particular the model of Hogwarts School of Witchcraft and Wizardry. The photo below gives an idea of what it looks like, but this is really one of those things you need to see in person to appreciate. The tour ends in the gift shop which is again expensive. Much of the merchandise is of good quality, but some of the toys looked to be fairly cheap quality, but still very expensive. The studios is well worth a visit for Harry Potter fans young and old. It is however very expensive both in terms of the tickets and for anything else you may purchase in the store and for the souvenir photos.